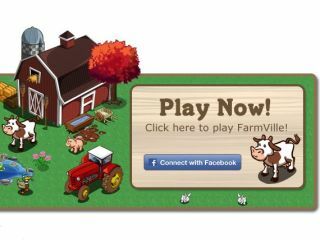 Zynga and its peculiar brand of -ville suffixed games may once have been the bane of your Facebook news feed but the games earn Facebook $375 million (£236.6 million) a year through Facebook Credits. That's 68 per cent of Facebook's total $550 million (£347 million) income from Credits coming by way of Zynga, with the company also spending around $70 million (£44.2 million) on advertising on the social network. That's a lot of, er, you know – farming equipment or whatever it is you buy in Farmville and its ilk. What this $445 million (£280.8 million) income amounts to is that Zynga makes up 12 per cent of Facebook's total income, and that is huge. What if Zynga ditched the social network as some long-time rumours suggested it might? Happily for Facebook, it signed a five-year deal with Zynga in 2010 so that revenue isn't going anywhere, for now at least. It's pretty good news for Zynga too, which apparently makes $1.3 billion (£820 million) from its activities on Facebook every year, often taking more than traditional console games.